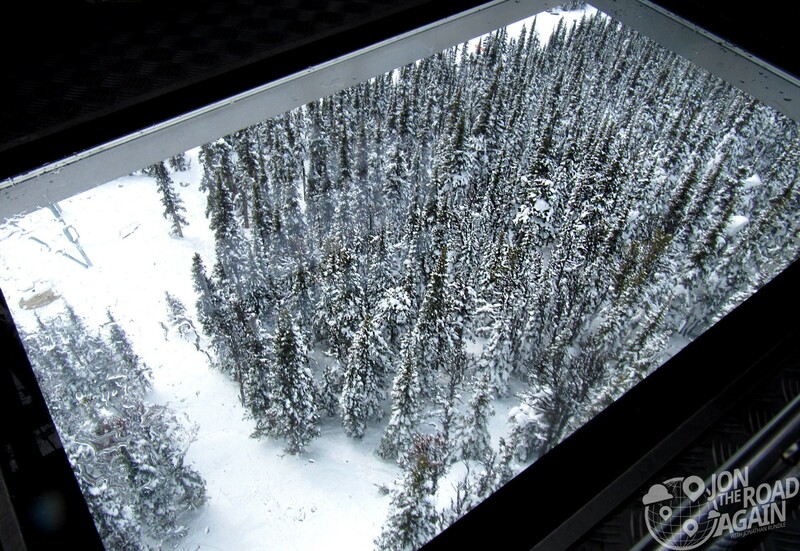 The Peak 2 Peak Gondola is an engineering feat and worth the time to check out. 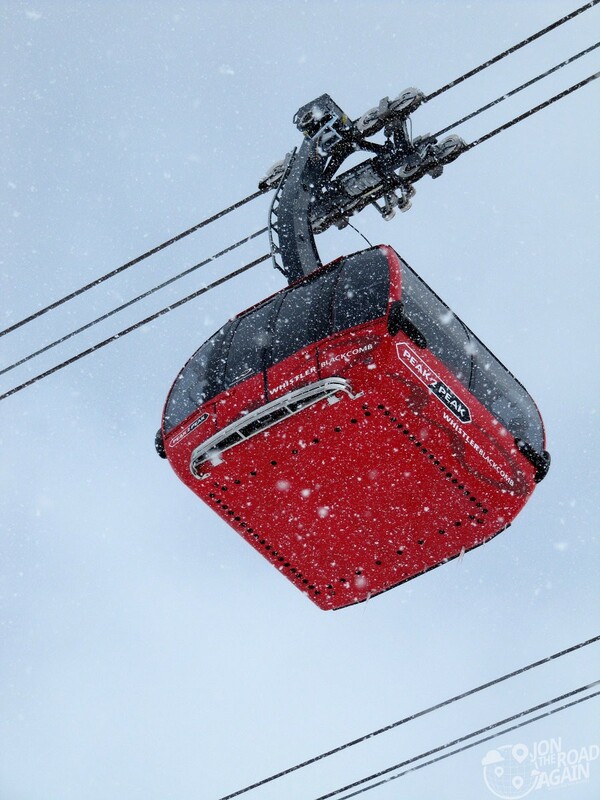 The iconic red gondolas shuttle visitors between Whistler Mountain (7,156′) and Blackcomb Mountain (7,992′) so you can access the skilifts at the top of each mountain without skiiing to the bottom. Let’s take a ride. The Peak 2 Peak holds a couple of world records. Longest unsupported span in the world (3.024 km/1.88 miles) and it’s the highest lift of its kind in the world (436 m/1,427 ft above the valley floor). So, it’s got that going for it. Primarily, if you go to Whistler you’re going to want the full experience so the Peak 2 Peak is not to be missed. You may notice that there are the red gondolas and there are the silver gondolas. The silver cabs are the ones that have the glass bottom. We waited a little longer (probably 15 minutes) in order to get into the glass bottom cab. Not a big deal unless it’s an exceptionally busy day. And a Panorama for good measure.